The time has come and your company is ready to replace or install a new parking lot. Besides cost, finding a commercial asphalt paving contractor that specializes in blacktop parking lots, Schmidt Paving recommends looking at drainage and possible changes in township requirements. 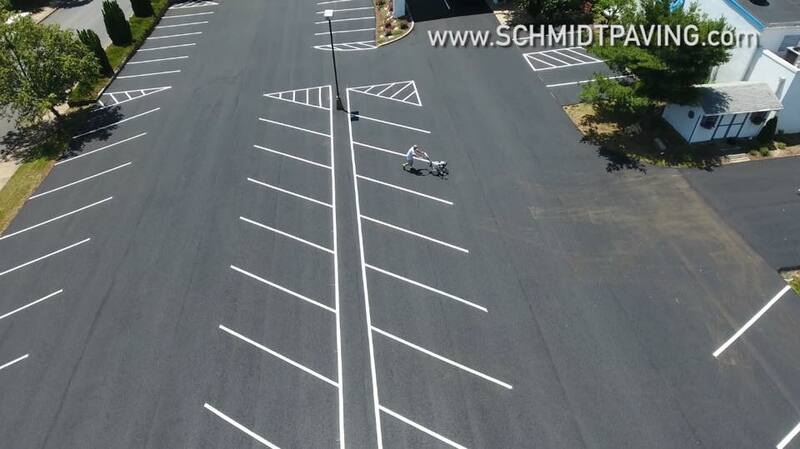 From installing new parking lots with proper drainage systems to calculating line striping for total number of parking spots, Schmidt Paving has worked with local townships in Bucks County and Montgomery County for over 50 years. If you are a building company, investor or property manager and you would like a trustworthy commercial asphalt paving company to help with planning for drainage, curbs, sidewalks and aprons, for your next parking lot install, Schmidt Paving is a great choice for these services and more…..